Home tips qatar airways -What is an Open Day event? 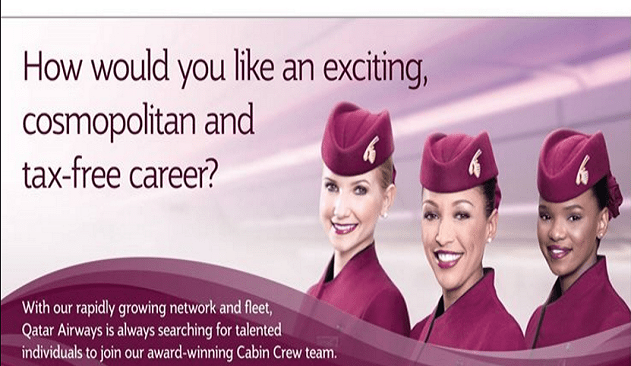 An Open Day is normally the first stage of recruitment when you apply as a Cabin Crew in an airline industry. Depending on your location, some 20 to 2000 people can show up. Yes, 2000 applicants, or even more. Anyway, before showing up for an Open Day, or even before your CV, make sure you meet the minimum requirements of the airline industry you are applying. Different airlines may have different requirements in terms of age, height, educational attainment, dental history, etc. Make sure you familiarize these so you don’t waste time. So what happens in an Open Day recruitment event? Since this is the first stage of recruitment, you will get a brief (2-minute) interaction with the recruitment officer. Everyone gets the same treatment. There is no indication that you will or will not get the job just because they spent more or less time with you. The Open Day is NOT an interview. Most likely, there is no “I’m-the-best-here-coz-I’m-the-valedictorian-in-my-class” or “coz-I’m-the-prettiest-in-this-room-today” portion. There may not even be that much opportunity for you to talk, to sell yourself. Perhaps none of the 20 or 2000 will have that opportunity. Nothing to worry, it’s designed that way. Those questions are about it. It’s puzzling to think how this first stage elimination process really takes place. There is no indication that you will or will not get the job just because they spent more or less time with you. It’s a matter of you having that ‘X Factor’ for them to Like you. Like any other hiring or interview day anywhere in the world, showing up a bit early matters. That old cliché of “first impressions last” still counts. Showing up early also means finishing early instead of spending the whole day waiting for a 2-minute contact. While waiting, take time to get to know the people around you. You will be observed. The moment you arrive at the Open Day venue until the time you leave, you will be observed whether you interact with the recruitment officers directly or not. Talking to the other applicants means you are capable of striking and keeping up with a conversation. A customer service job requires people who know how to talk to people. About anything. Smile. Smile like you are having a good time chatting with them. Make sure you have all the necessary requirements as CV and pictures. During the 2-minute interaction. Smile. A warm, big, genuine smile as if you already got the job. Practice it in the mirror and see for yourself how ‘genuine’ or ‘real’ it is. This is not stupid. The first thing you notice when you get on a plane, is how warm you are greeted by cabin crews. You will be paid to smile. So go on, practice that good smile if you need to. Otherwise, act like you mean it. Didn’t they say “fake it till you make it”? Shake hands, if offered. A good, firm handshake. Let go when they let go. Do not interrupt them. Be polite and courteous. Don’t forget the “please’s” and “thank you’s”. If they start the conversation, respond appropriately and enthusiastically. If they just look at your CV without talking to you, start a conversation yourself. “How are you today?” , “I’m ________. This is my CV and I am happy to discuss my background with you” are a couple of examples. Keep smiling. “Thank you. We will call you if you pass this stage.” will be the signal that your open day interaction is over. Use the opportunity to thank them for their time. Tell them how eager you are to work for them, or how you’re looking forward for their call. This shows confidence. However, don’t overdo it. Too much confidence will not get you far. While exiting the room, keep in mind that they are still observing you. Continue to maintain an excellent posture and demeanor. So this is the saga of the Open Day recruitment process. You will be waiting in the next few hours for their phone call. They will call you within the day to inform you of your next assessment schedule which is most likely going to happen the day after. Keep your basic phone call etiquette. Thank them for the opportunity, don’t interrupt the conversation, clarify anything if you’re not sure before showing up with incomplete requirements. Since this is a very important call, don’t forget to charge your cellphone batteries. Note: These pointers are only guidelines that will help you on what to expect during this recruitment event. It may change without prior notice, depending on the airline company’s policy.